THE Myanmar government coming to wage a campaign that it has signed the agreement with Bangladesh only on the repatriation of the Rohingyas who have fled violence in their homeland Rakhine State to Bangladesh in the past four months, from August 25 to December 15, is disconcerting on a couple of counts. 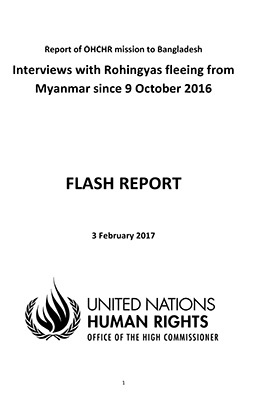 Such a claim that Myanmar’s foreign ministry made on its web site on Wednesday, with reference to its military-run newspaper, The Global New Light of Myanmar, can well be construed as a ploy to inconvenience the repatriation process, mostly on the Bangladesh side by way of a psychological war, a means to deflect the world attention now having the Rohingya crisis in focus and a tool to defuse pressure that the international community has for some time been mounting on Myanmar to resolve the crisis. Myanmar, in effect, signed two agreements, on November 23 and December 19. The immediate one, the ‘arrangement on return of displaced persons from Rakhine State’, which has already had a joint working group under the relevant terms of reference at play, is on the repatriation of the Rohingyas who entered Bangladesh after October 2016. 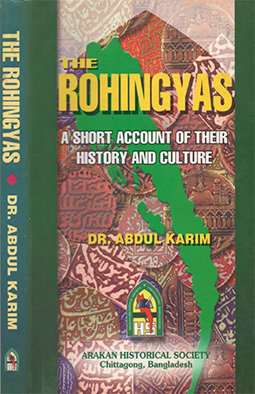 The other one is on the repatriation of the Rohingyas who entered Bangladesh before October 2016 on the conclusion of the return of the people covered by the first agreement.It is in this context such a campaign, even if internally, by the Myanmar authorities appears to be dubious. Myanmar may well claim this to appeal to popular domestic taste, which it should not have done though as it amounts Myanmar’s feeding wrong information to its own people, what remains for Bangladesh to do is to take up the issue with appropriate authorities in Myanmar. What Bangladesh further needs to do is to keep its sympathisers and other powers that matter within the international community informed of this so that Myanmar cannot deflect the issue and its commitment in international forums. 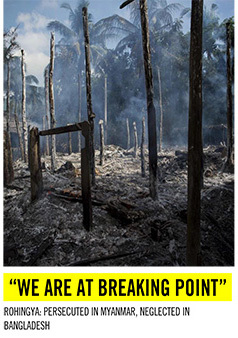 The situation as it has been so far warrants the involvement of the international community, including the body of world leaders, the United Nations, in the process of the Rohingya repatriation. New Age has always believed that while Bangladesh has done what it could on the Rohingya repatriation on a bilateral plane, it must also do what it can on a multilateral plane to effectively ensure a sustainable return of the Rohingyas to their homeland in Myanmar. More than 6,55,000 Rohingyas have crossed the border to safety into Bangladesh since August 25, to add to 4,19,000 others who have lived in Bangladesh since the early 1980s. Dhaka needs to ensure that they all go back, safe and safely. While Bangladesh, under the circumstances, must seriously take up Naypyidaw’s new campaign with Myanmar, it must also involve the international community so that the whole process remains under a broad watch and nothing can go awry. Unless Bangladesh does it this way, the support that it has offered for the humanity would ultimately turn out to be unmeaning.